Are you ready to detox after the new year? Have you overdone it over Christmas with all of the late nights partying and wrapping kids gifts to ensure they have the best Christmas? We all overdo it though and January is the right time to put that all in the past and start the new year on the right foot. 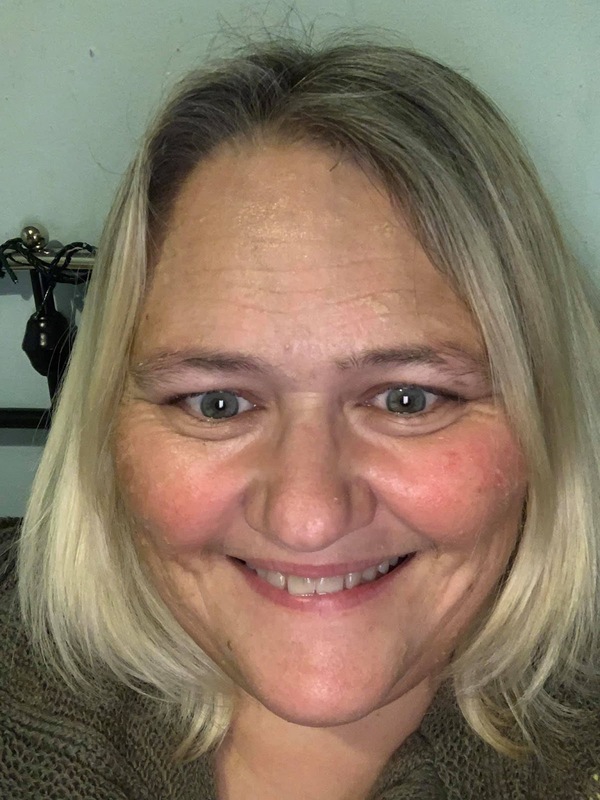 I am 46 years old and I am tired, it is showing on my skin and where it's so cold, it is bringing my sensitive skin out. It's not a good look at the moment! 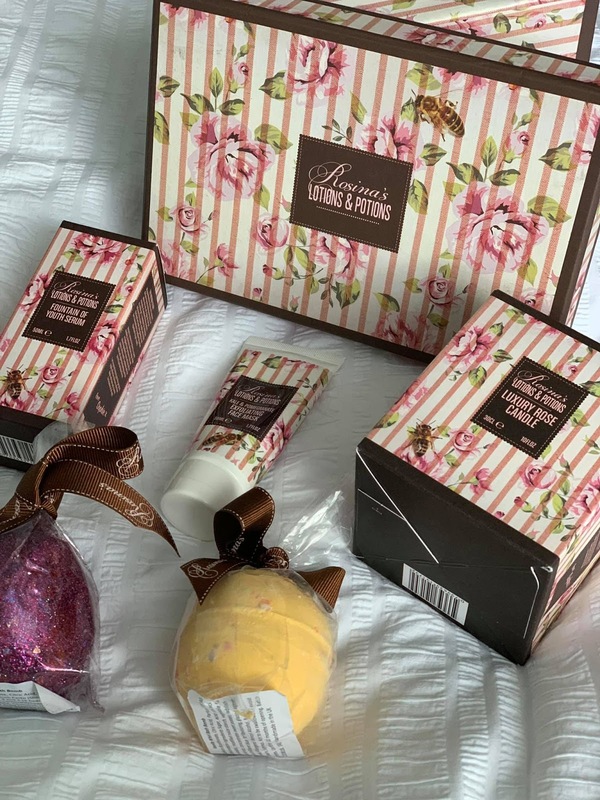 I received some products from Rosina's Lotions and Potions and I really enjoyed using them. I have used some products in the past, and you can feel the quality when you use them. 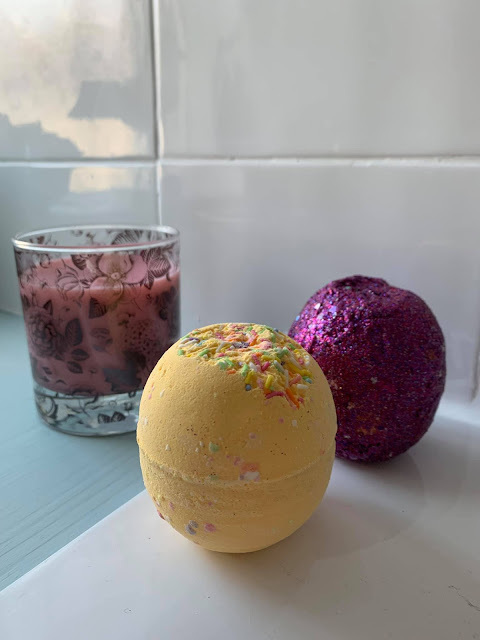 To start with, we have The Vanilla Bath Bomb and The Glitter Dream Bath Bomb. Everyone loves a bath bomb, but as long as they are nice and smell gorgeous. 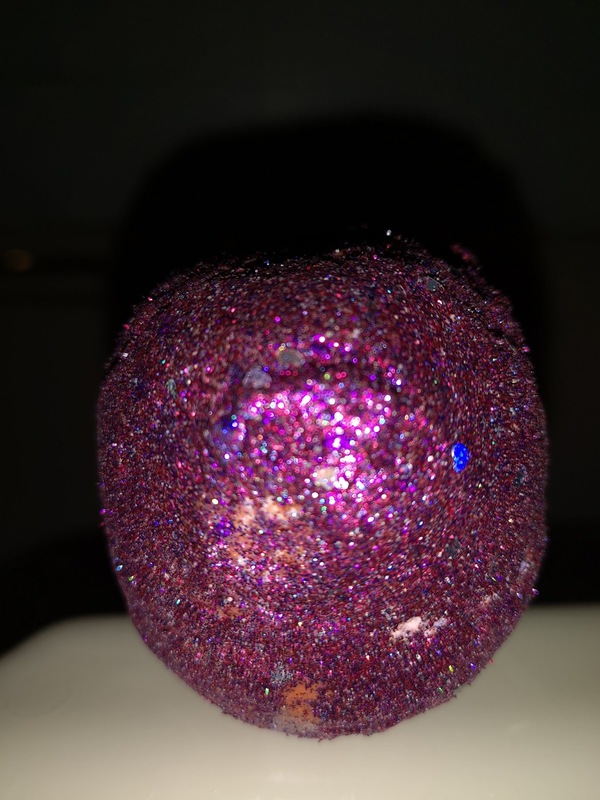 The Glitter Bath Bomb is purple with glitter and sizzles as it melts in the bath. It took it's time to melt too, which I like and slowly turned the water a dark purple colour and the glitter floated to the top. The smell was gorgeous and it lingered until the next morning. 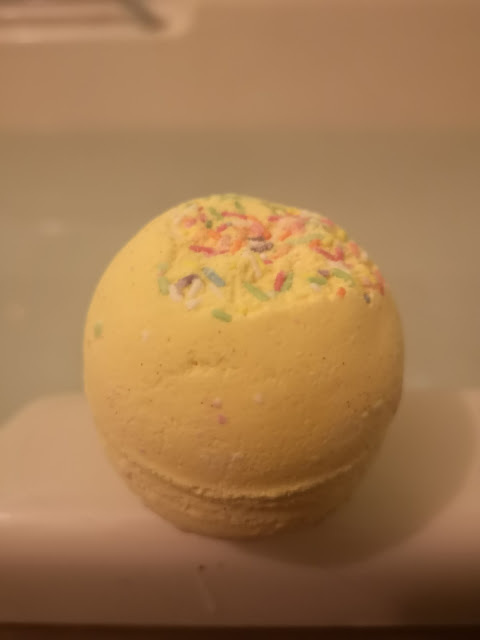 Even though it has glitter in the bath bomb, it never caused any irritation to our skin. Some people asked if the glitter made me itch, but the answer was no. You do have to clean the bath afterwards because it's full of glitter, but it decorated the bath for a little while! The Vanilla Bath Bomb didn't smell so strong and came out as a pale yellow colour in the bath. 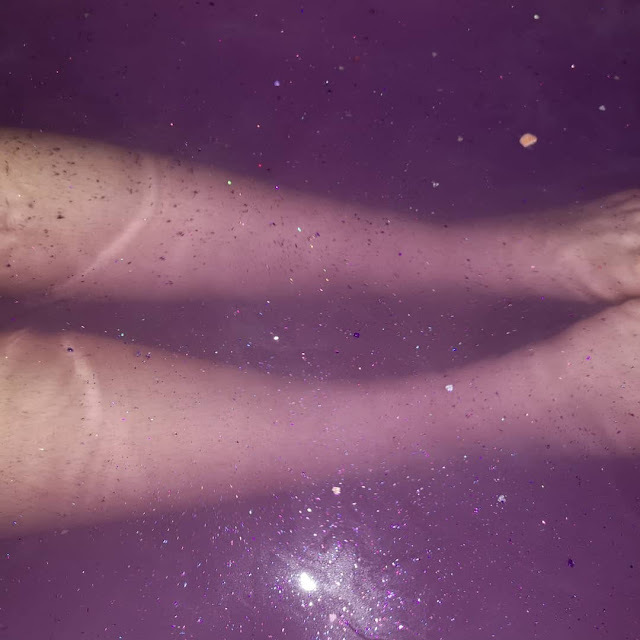 This bath bomb fizzed the same as the glitter bath bomb, but the effect wasn't as spectacular. When it came to cleaning the bath afterwards, it was so easy to clean and there was no residue left from the bath bomb. This was perfect for Tilly and absolutely safe for Matilda to use. 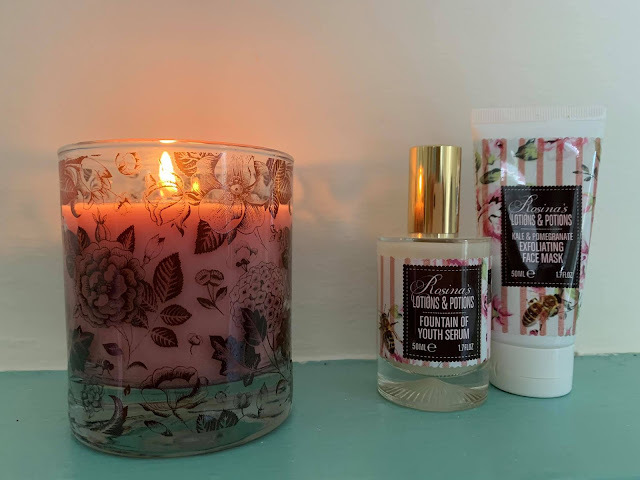 Whilst you are soaking in the bath, there is an exclusive candle from Rosina's Lotions and Potions. and has been hand poured into the glass. The fragrance of the candle is rose, and it reminds me so much of my nan's garden when I was a child. I loved that it bought back some childhood memories. 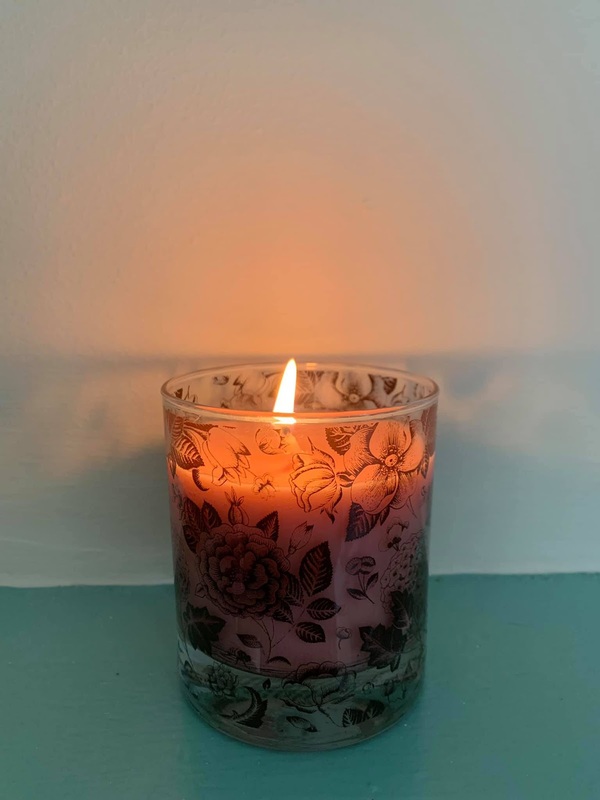 The candle is made from high-quality beeswax, and it really is long lasting. I have burnt it every day for a couple of hours for two weeks and it still is only burned down half of the way. The glass is just beautiful, The design is black and stands out on the glass and against the pale pink candle. It has roses on it and bee's creating a gorgeous design on the glass. The rose smell is very natural and not overpowering, this is due to the essential oil that is added to the candle and the rose aroma is the signature smell of the products from Rosina. Did you know that Rose oil is excellent for fighting depression and boosting self-esteem and confidence? So if you're feeling down, light your candle, sit back and relax. The Candle is £25. Once a week, you should exfoliate your skin, this is simple and only takes a few minutes to do. I have the Kale and Pomegranate Exfoliating Face Mask. This is new to the Rosina's Lotions and Potions family, and it is a welcome addition too. The kale is an Antioxidant helped the dry patches of my skin to rehydrate and the pomegranate is an anti-inflammatory, so this is excellent for my sensitive skin. 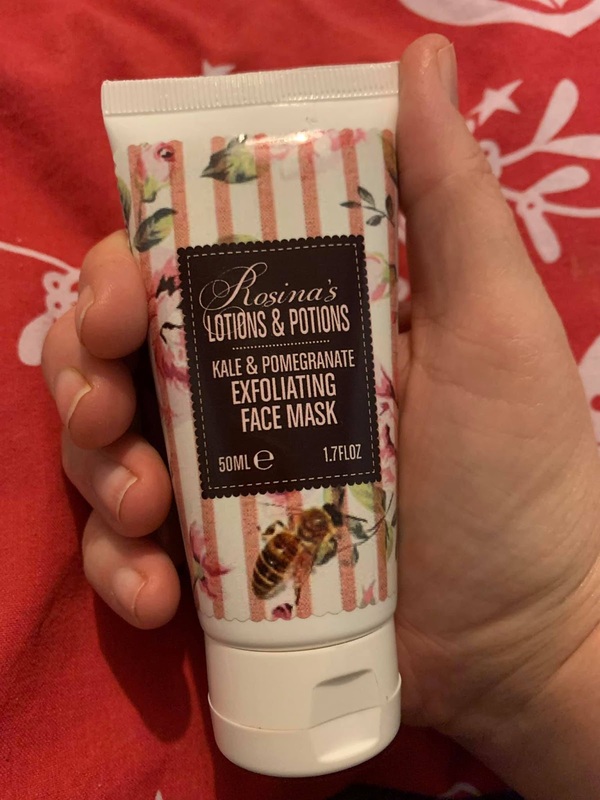 I suffer from psoriasis so I have a red patch on my face, and after I used this exfoliating face mask, my skin was less red and looked so much better. If you don't have time to do a full face mask or a full facial, you can use this as a quick exfoliator wash, but you would benefit more using it as a mask. The Pomegranate cleanses by exfoliating the dead skin cells from your face and leaving it feeling smoother. This means that your make up will apply to your face much smoother too and will last longer throughout the day. I hate it when my foundation never applies smoothly and dry rough parts appear on my face. When you rinse the exfoliator off, use warm water to rinse it with a cloth, but I use my hands because it's more gentle and it also exfoliates my hands too as I rinse. This helps my hands to feel softer too. You only need a little bit of the mask because it goes a long way and it is cold to apply, which means it takes away any puffiness on your face too. In the winter anything you can do to brighten and rejuvenate your skin is a bonus. The face mask is £25. 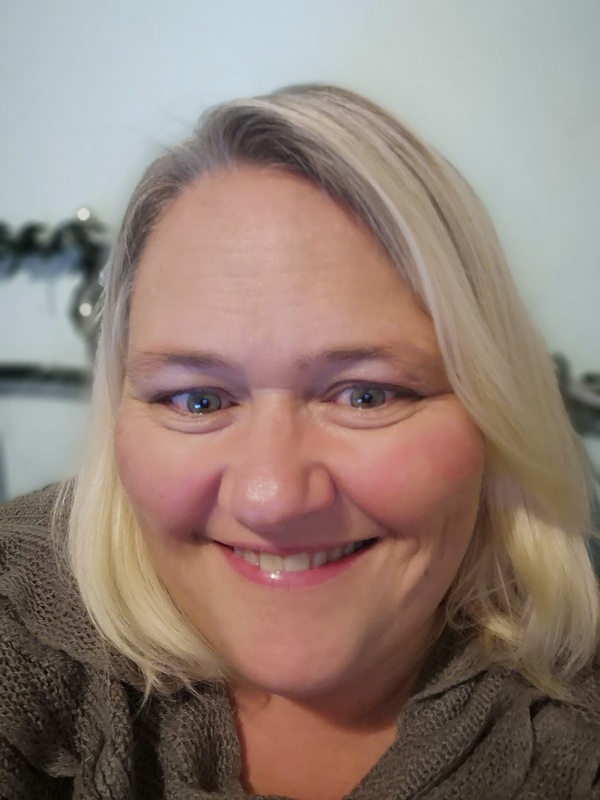 Being 46, I am really on the wrong side of youth, so I need all the help I can get and that comes in the shape of a bottle of Fountain Of Youth Serum. When I use anything on my face, I like to use good quality products. I believe in you get what you pay for. I prefer a serum because they are designed to penetrate the skin more than a cream ever will. This is why you will always pay more for a serum. 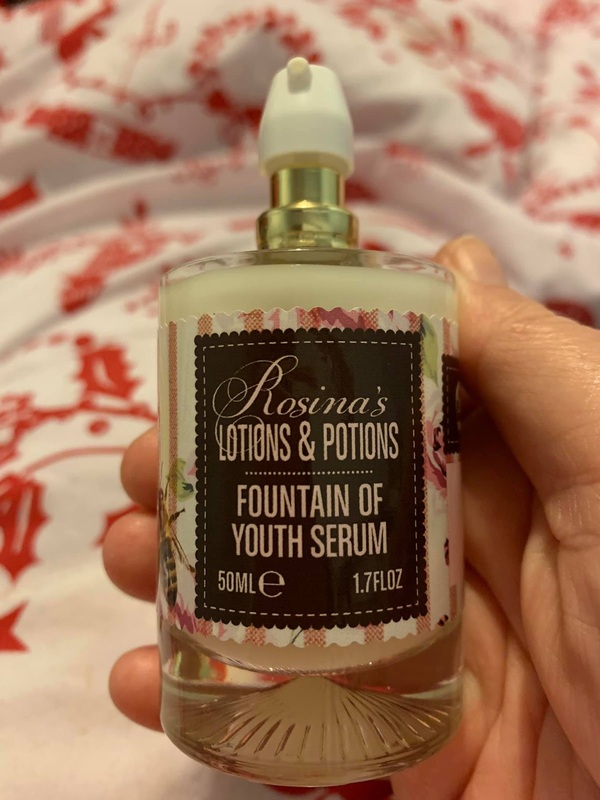 The Fountain Of Youth Serum has ingredients of Rose (an astringent, so it will tighten up your skin), Argan oil, which is good for dry skin because it is rich in Vitamin E so it rehydrates your skin and also helps to reduce the appearance of fine lines and wrinkles. It also has aloe vera, A natural product that reduces inflammation and is excellent for dry flaky skin. Your skin dries out a lot in the winter with all of the central heating in buildings and then going out into the cold weather. As well as the natural products, there is also a bit of science in the bottle. We need that little bit of help from Caprooyl Tetrapeptide 3 to help to firm your skin up with the help of elastin, collagen and hyaluronic production. Palmitoyl Tripeptide 5 stimulates the collagen needed for wrinkle-free skin. This product doesn't have any parabens in it, instead, they use radish root, which preserves your serum and is also anti-bacterial. You can use this as a stand-alone product in your beauty regime like I do or you can follow it with a moisturiser too - maybe one with sun protection. I liked that it soaked into my skin straight away and instantly left it feeling soft and smooth. There is nothing worse than a sticky feeling serum on your face, but this one is perfect and has a cooling effect for a while after you have applied it. You can smell the slight aroma of the signature smell of roses, that are in the Rosina skincare ranges. I much prefer a fresh and natural smell to a chemical smelling skin care product. The serum is worth every penny of the £45 that it sells for. You can see from the bottom photo, how this serum has had a real calming effect on my skin and helped to tone down my red dry patch on my cheek. 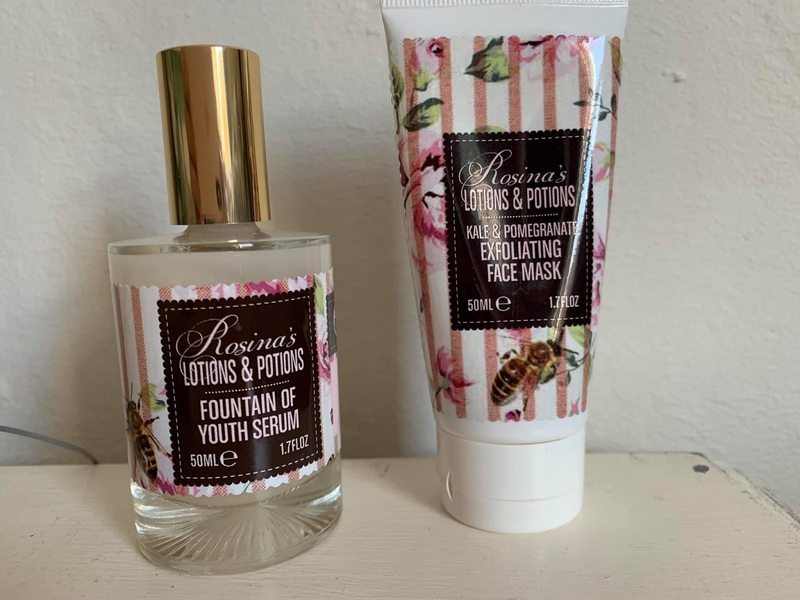 Rosina's Lotions and Potions are a luxury product to add to your dressing table and every woman or man deserves a bit of luxury in their life, after all, we all work so hard for it, don't we? For your own touch of luxury, pop over to the website and see what else they offer or click the links in the post for the individual products. All of the products featured in this blog post are Cruelty-free because they are not tested on animals or none of the ingredients is tested on animals. This is because there are no chemicals in the products and they are all paraben free.